Why don't you spend the night in the villa? Vila Veselova has Certificate of Excellence 2013 by Tripadvisor, FREE breakfast, FREE coffee/tea, FREE WI-FI & computers and FREE SMILE ;). Itâ€™s located in the diplomatic area of the city, just around the corner from a few embassies (Austrian, German, American, Russian and Japanese) and within a walking distance to the town centre, main sights and other points of interest in Ljubljana. City'ss main park is just a stone throw away from the hostel and offers abundance of green area and relaxing walks. Proximity of the major galleries and museums offer travelers endless opportunities to discover culture and history of the country. Vila Veselova was also the home of one of the famous Slovenian architects Ciril Metod Koch who rose to prominence after the Ljubljana earthquake, when he reconstructed several buildings in the Vienna Secession style. Vila is enriched with over 140 years old decoration representing the soul of Ljubljana- modern but traditionally charming. It offers rest and chill out spots, a garden and a terrace. 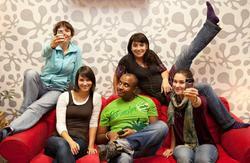 We offer spacious 8, 6 and 4 mixed dorm rooms, a double room, one 4-bed apartment and two kitchenettes. 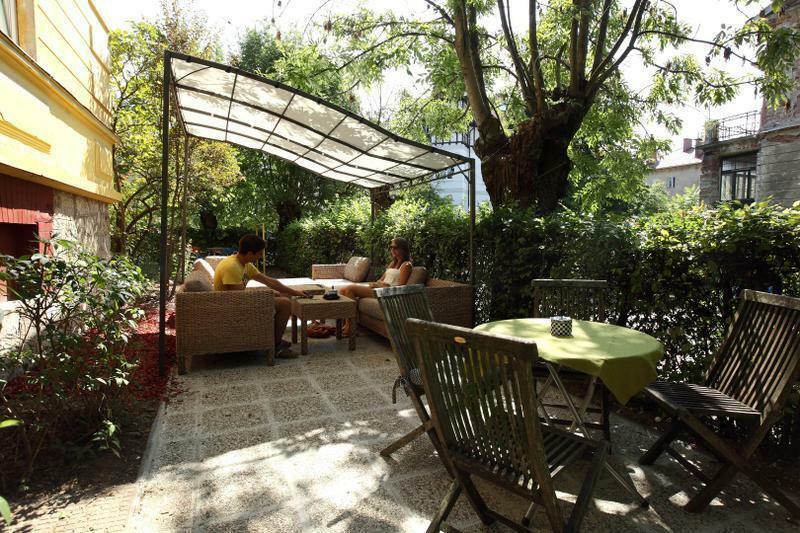 Gathering spots, hot drinks, syrups, air conditioning / fans, laundry, ironing, trips around Slovenia, free internet, luggage storage and own parking in the courtyard are also available. Reception is open from 8am till 8pm. If you plan to arrive between 8pm and 8am (overnight) PLEASE INFORM US by E-mail or phone in order to coordinate your check-in. The reception desk is closed during the night and you won't be able to enter without our instruction, so we need to be aware of any changes. -by taxi to the hostel door: let us know in andvance and we will arrange one for you ( price 25â‚¬ ). FROM THE RAILWAY STATION BY FOOT: When you exit the train station, turn right and follow the road to the bigger junction. Turn left on Slovenska cesta and follow the road ( about 700m ) until you get to Nama shopping center ( you will see Post office on your left side across the street ), where you take right to Cankarjeva cesta. Keep going straight, passing Opera house on your left side and National gallery on you right side. At the end of the Cankarjeva cesta turn left on Presernova cesta and follow the road passing Modern gallery, US and German embassy. At the Austrian embassy take a right turn on Veselova ulica, where you find our hostel at the end of the street. BY CAR: take any highway exit, direction toward center and within the center follow marks Cultural center Cankarjev dom. 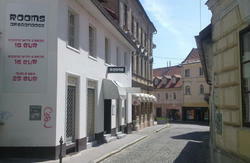 In front of it, on the opposite side of Presernova, you can find Veselova street. Park in the courtyard of no. 14 or ask receptionist for instructions.